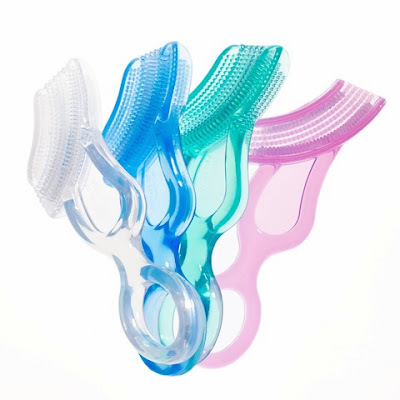 If you are a mom Baby Buddy is one of the first places you should start shopping for baby and children products! 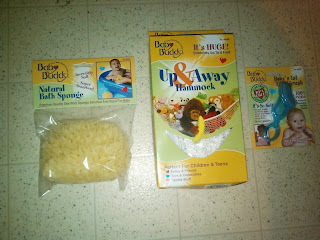 We had the oportunity to try the Baby's 1st Toothbrushes, Natural Bath Sponge and Up and Away Hammock in white. 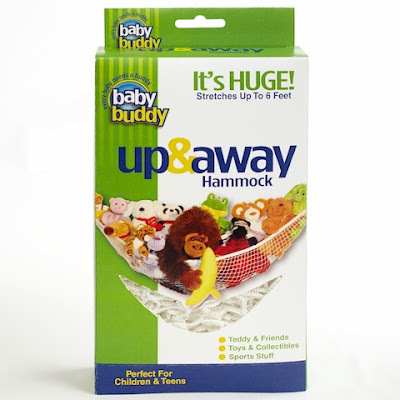 The product I enjoyed most was the Up Up and Away Hammock it was very sturdy easy to install and keeps all of the childrens toys within reach. Most people install these high on their wall I installed ours lower and that allowed the children to be able to reach and replace all of their toys and to keep the toys up off the floor and in one place. 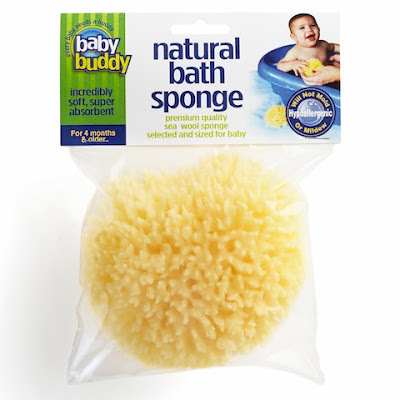 The Natural Sponge was my next pick! 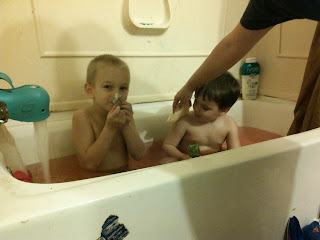 As everyone knows I love all natural products for my family! These sponges are actual ocean sponges and they are the perfect combination of soft yet rough enough to scour away all the dirt grime and dead skin we have. I will be purchasing 2 more of these as stocking stuffers for my kids! These last much longer than I expected also we have been using ours over a month now with little to no wear and tear! The Baby's 1st Toothbrush was by no means my last favorite I just don't get as excited about toothbrushes as I do other products. The Baby's 1st Toothbrush I was so surprised at how easily Gavin to took using the brush! 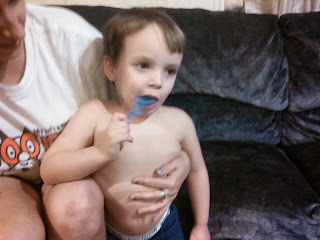 He actually replaced his teether with the brush which is perfectly OK as the brush cleans his teeth and gums as he chews it! I loved all of the products we received and were able to review. I would reccomend all of these products please make sure you like Baby Buddy on facebook to keep up with their newest products and specials! i bet that hammock would work like magic in my daughters room! I really like the Up and Away Hammock. That would be so handy to have. Right now I keep my daughter's bath toys in a bathroom drawer which is not ideal. I love the up and away hammock. A great way to keep my daughters stuffed animals off of the floor...and she has TONS!